SCRAPiVERSE: PayDay Friday: Part Two! Yeah- that's right. Part TWO. The PayDay celebration so big that it had to be two posts! This second part will be much, much shorter. Promise. After all the Jo-Ann Grand Opening excitement, I really just wanted to go home. And crash. But we had to check out Super Target. It's next door. I debated buying a box of silver binder clips. Holly debated over a plant. We changed our minds and decided, no, let's go to Goodwill. And that took some convincing. I don't like to go to Goodwill. Well, I do- but I'm always so discouraged because I rarely find anything. I was all, "NO! LET'S GO TO BASKET MARKET!!!!" Holly is a Goodwill Guerilla. She can find the coolest stuff at the thrift shops. I'll often be at work, slaving away at my desk, and she's texting pics to me from thrift stores across Oklahoma. The coolest things. I'm still kicking myself for missing the text about the ventriloquist dummy that she found- I would kill to have that scary little thing sitting on a chair in my room! I also found a nice tripod, still in the box. Surely, I'm going to need something to steady my camera, right? And it was only 4.99. I also picked up a couple of records. You know, for my record player. Have you seen my amazing record player? I'll haft show it to you. Holly drove me back to Jo-Ann, and dropped me off at my truck. She said she was going home to take a nap. But I know better. She was hitting more thrift stores and didn't want my competition. Or my whining for BASKET MARKET. Yes, ladies and gentlemen, through this passage is the promised land. At first, I kinda felt out of luck. 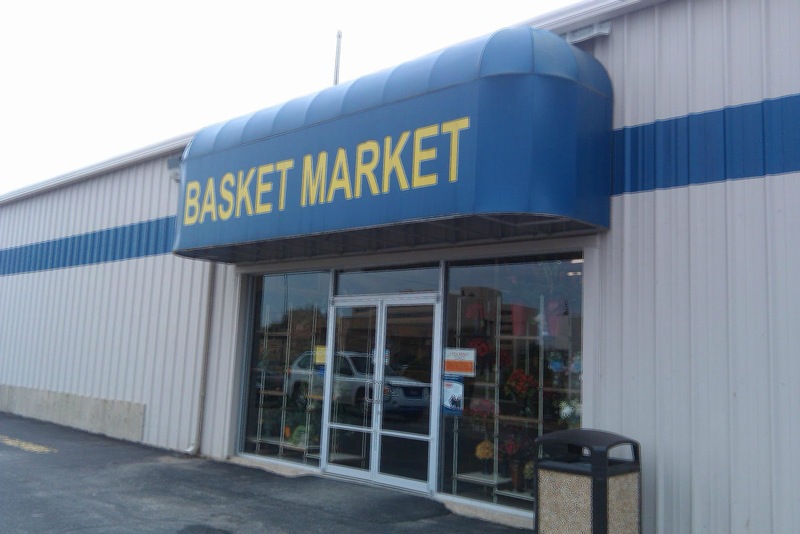 It had only been about a week or week and a half since I've last checked out the Basket Market. When I made my first descent into the scrapbooking aisle, I really felt out of luck as I saw the three hundred packages of Hobby Lobby brand brads that have sat there looking lonely and unloved. I think those poor brads have been there for ten years. They're dusty and sad. Not even their 1.00 price tag can find them a new home. BUT WAIT- what's all this?! 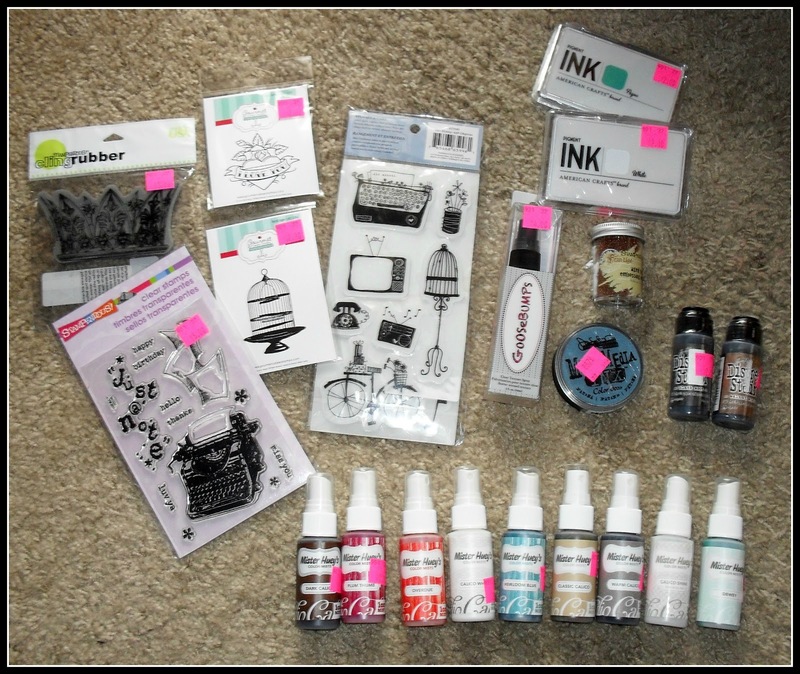 There are so many new packages of stamps that they're almost jumping off of the wall hooks! WhooooHAW, restock!!! I found lots of stamps. Too many. I had to restrain myself. I grabbed so many on the first pass that I had to sit down on the cold concrete floor and decide what I really NEEDED. Yeah- believe it or not, I don't just buy EVERYTHING I get my hands on- I DO try to really put some thought into it! As I'm thrashing about the floor- something catches my eye. What is it? 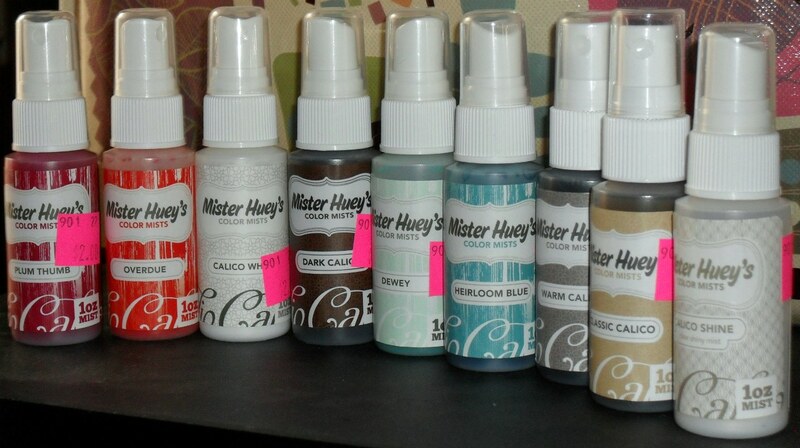 Well, if you keep up with my goings on, you will remember that last week, I saw and fell in love with the Studio Calico Mister Huey Color Mists. Yes- that's what was on the shelf. A nice selection of MISTER HUEYS!!! And the EVEN BETTER part? They were TWO DOLLARS EACH. You would've thought I saw priceless jewels. Well, they kinda are! None of the local stores carry them. I was about to order them from scrapbook.com- but they were out of a couple of the colors I wanted, so I wanted to wait until they had all the colors I wanted IN STOCK so I could order them all at once. But I LOVE being able to just buy something IN a store. I hate paying and waiting for the mail. I grabbed every color of MISTER HUEY that caught my eye. And then some. Now, here's where I learn an important lesson. Things might only be one or two dollars each. That doesn't mean you can fill a basket with the things and only spend ten dollars. This is a lesson I have to relearn. 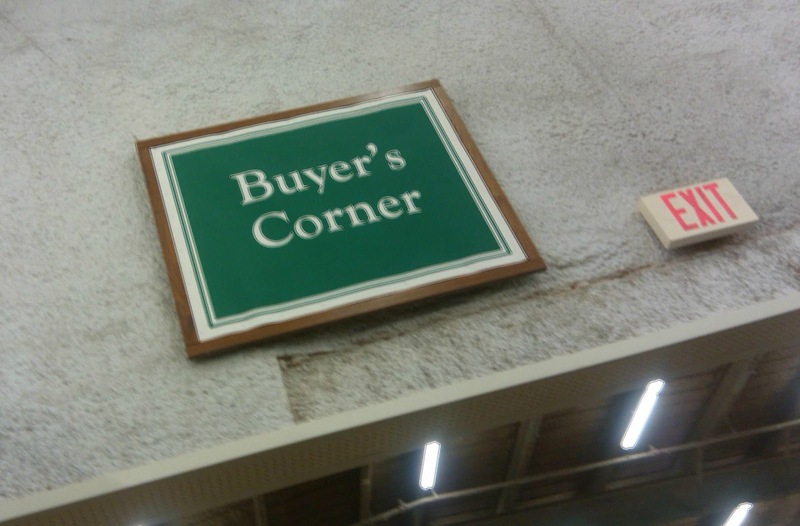 Every time I go to Basket Market. These things do NOT add up in my mind. I will fill a basket with two dollar items and be dazed and confused when the cashier says, "That'll be 54.19." WHAT?! I only bought 27 two dollar items!!! No, I'm not complaining. Look at these great stamps I found! There it is- the Part Two of the Pay Day Celebration haul- Basket Market style. 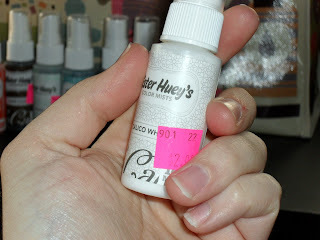 I even found a few colors of Distress Stain (also 2.00!) and the Goosebumps texture spray that I saw mentioned in the scrapbook.com forum earlier in the week. I said I would buy some and sure enough, I did! See you all later- the Craft Donkey inspired me to make a card. Paul! You are so funny! And speaking of craftporn, wait til you see what I'm coming up with... It's gonna be a riot! But yes! 2/each! I couldn't believe it! 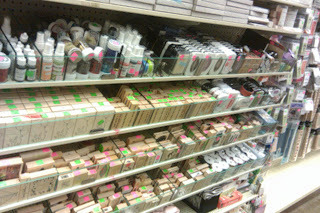 Most of the stuff in this store are manufacturer's samples, sent to Hobby Lobby. So they have stuff the regular store doesn't even carry. And lots of random things. It's so much fun! Don't be jealous, I'll share! Come on over! A CYBER CROP!!! that is an awesome idea I love it!!! Some one should totally do it, I am game!!! I am so jealous!!! I want to be in that aisle with you!!!! You shoulda been! They had so much stuff this time! I'm going to have to send you my number and you can text me when you find treasurers like this!!! Yeah...maybe 5 is about all I left- sorry. I almost bought bith bittles of 'Overdue,' tho, so ou can at east be thankful I left it... That is one you bought, right? wowsers!! sounds like a SUPERFUN (say that really fast like super fly..its fun!) day!! cant wait to see what you create! thanks for the giggles! OMG you totally need to hook me up with some of those typer writer images, stamp n send man! hee hee about 25 will do haha. Frickin love typewriter stamps and that is one I dont have yet! Love that I inspired a card! Rock it out man! Can't wait to see it. Whats the little teal looking circular thing? The little teal thing is one of those Donna Salazar Mixed Media Ink inkpads... Their shape always intrigued me, everytime I'd see them online. So I grabbed one to try it out. Oh okay, that's what I thought it was! I have some and I love them. Have you used pan panstels? I frickin adore them use them as a dry color as well as as a wet color been loving playign with them and gelatos! been my latest obsession! Holy crap, Kory! What an awesome haul! I am so jealous that I don't have one of those near me. Then again, I just got Hobby Lobby stores in my area less than two years ago! I'm jealous too! That is ridiculous! 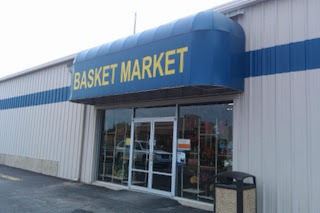 I've got to see if there is a basket market ANYWHERE within 3 hours of me! I've never heard of it?! LOVE Calico Mists!!! You lucky lucky boy! Awesome find!!! the men men's prostate and also other functions in your body. Thus far, you shouldn't have like a sommelier as a way to imbibe. As an instance, a citrus juicer is meant to be employed when citrus results. that's about trimming one thousand days and nights as per second of all. parts include things like whisks as well choppers. into files led operating system having 35 pre-programmed integrating schedules. has a cord affixed food processor or blender. can be purchased. Save KeyRemap4MacBook PrefPane to . Presently any two-piece designing, the hottest kind includes a plastic biggest cover, molded to form a lip area which matches closely around the lead fringe of all 4 aspects from your water tank. way that we'd require to wisely property aside ideas on how to save many of our hard cash and so discover the very guards each. Should it be upon the models that nor to the essential accessories. this approach improvement would bring quite a lot of nutrients. getting good suggestion away from their revenue magicians.